A Game of Runs. In the first half, South Florida went nearly 11 minutes without scoring. The Bulls finished the half 3-of-27 from the floor, but were amazingly down by only four points at the break. In the second half, a different South Florida team showed up. The Bulls hit 10 of their first 14 shots, including four of their first five from three. After trailing 19-8 with 6:34 in the first half, South Florida went on a 33-10 run that extended to the midway point of the second half. The turnaround was stunning, as it didn’t appear that South Florida would be able to do anything offensively after its woeful first half. Whatever Bulls Coach Stan Heath said to his team during the intermission got them going, and now one of the last four teams in the Big Dance has a chance to advance to the Sweet Sixteen. Collins and Rudd Lead the Way. Anthony Collins, South Florida’s freshman point guard, was outstanding in steadying the Bulls in the first half and leading their attack in the second. He finished with 17 points, five assists, and four rebounds. Sophomore forward Victor Rudd, Jr., hit several key shots in the second half, and went 4-6 from three-point range. Collins and Rudd were the key to South Florida’s quick spurt at the beginning of the second half, and the Bulls never relinquished the lead after taking it on a Shaun Noriega three with 16:55 remaining. Good Defense beats Good Offense. This game was a contrast in styles. On the season, Temple shot 47% from the field and averaged 76 points per game. According to kenpom.com, the Owls were the nation’s 22nd most efficient offensive team. On the other hand, South Florida is seventh in the nation in scoring defense (56.8 points per game) and 14th in field goal percentage defense (opponents shot 38.7% on the year). On this night, the Bulls won the battle of these contrasting styles, as South Florida held the Owls to 35.7% shooting and 44 points. Temple simply could not get into any offensive flow in the game, and the Bulls deserve all the credit for that. Star of the Game. Anthony Collins, USF. The freshman point guard who had more than three times as many assists as any other Bull, was the steadying influence on this team on this night, turning the ball over only once. Sights and Sounds. A lackluster first half led to a crowd that had no life in the first 20 minutes. After the break, the South Florida crowd, which had seemed non-existent, came to life when the Bulls rallied. The game also presented a contrast in styles between the coaches. Temple’s Fran Dunphy and South Florida’s Stan Heath do things differently. Heath is animated and argues with officials throughout the game. Dunphy, though intense, does not let his emotions show like his counterpart. Wildcard. This game was a battle of future Big East opponents. Earlier this month, the league extended an invitation to Temple, and it will join in basketball beginning in the 2013-14 season. What’s Next? South Florida will take on 13th-seeded Ohio on Sunday. The Bulls were one of the last four at-large teams to make the field, and many thought they should not have been in the field at all. Now, the Bulls will wear their home uniforms as the higher seed, and with their defense, a trip to the Sweet Sixteen is a realistic possibility. | 2012 ncaa tournament, rushed reaction | Tagged: anthony collins, fran dunphy, ramone moore, shaun noriega, south florida bulls, stan heath, Temple Owls, victor rudd jr. 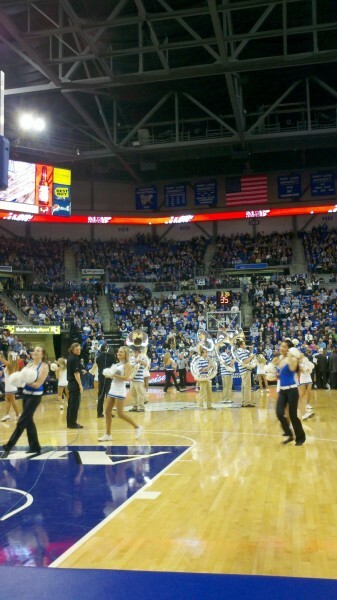 The mid-major hoops feast that is Bracketbuster weekend has arrived. It kicked off Friday night with VCU defeating Northern Iowa and Loyola Marymount following up their upset of St. Mary’s with a win over Horizon League leader Valparaiso. We previewed all of the televised Bracketbuster matchups when they were released, so we won’t rehash all the here. But we do regret that that the two biggest games on the schedule — Murray State v. St. Mary’s and Creighton v. Long Beach State — have lost a bit of their luster. The Racers saw their undefeated run end in less-than-gallant fashion, with a loss at home to Tennessee State, while the Gaels have dropped 2 of their last 3 games by a combined 29 points. Meanwhile, Creighton’s recent three-game skid, punctuated by a huge loss to Wichita State, has taken some of the sheen off of their otherwise stellar season. Still, these are all teams likely headed for the Big Dance, and today’s big games will give them a chance to re-ignite their season and build some momentum as they head towards March. After the updated top 15, we recap five big games from the week that was, including a dramatic buzzer-beater. We also take a look at four tumultuous conference races and the two big non-Bracketbuster games to keep an eye on this week. George Mason 62, VCU 61 — This was a big game between two of the CAA’s three conference co-leaders, and it didn’t disappoint. Sherrod Wright won the game on a dramatic three-point buzzer beater. (See it for yourself, many times over, below.) The broader keys to Mason’s win were the two things that have sustained them all year — defense and forward Ryan Pearson. The Patriots held VCU to under 40% FG shooting, and Pearson led the team with 24 points and 11 rebounds. Evan Jacoby is an RTC columnist and contributor. You can find him @evanjacoby on Twitter. Night Line will run on weeknights during the season, highlighting a major storyline development from that day’s slate of games. Over the past month, Duke had won five straight games and quietly risen to #3 in the AP Poll and #2 in the RPI without skipping a beat. But home victories over the likes of Western Michigan and UNC Greensboro won’t make fans forget about the Devils’ embarrassing 22-point loss at Ohio State earlier in the year, and it would take a strong road performance to erase those memories. Wednesday night showed the Blue Devils get thoroughly outplayed by unranked Temple in downtown Philadelphia, confirming the suspicion that Mike Krzyzewski’s team could be vulnerable both defensively and on the road heading into conference play. Coach K will need to refine his rotation and strengthen his team’s defensive intensity if they want to realistically compete with North Carolina for another ACC title. Perhaps no team played as difficult a non-conference schedule as Duke, which would suggest that they are well prepared for their old familiar foes when conference play begins this weekend. The Blue Devils played Michigan State, Ohio State, Belmont, Michigan, Kansas, Davidson, Tennessee, and Washington as part of one of the most challenging schedules in the country. But Wednesday’s game against Temple was just their second road game (although it was played on one of Villanova’s two home courts, not Temple’s), and they were dominated in both. At Ohio State on November 29, Duke allowed the Buckeyes to shoot 60% on two-pointers and 57% on threes, amounting to a horrendous 130.8 efficiency rating for the Buckeyes. 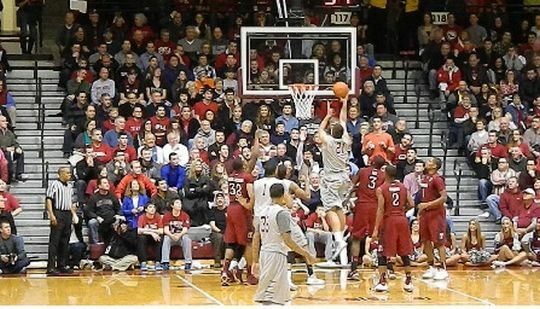 On Wednesday night, Temple shot 58% on twos and 50% on threes for a 114.7 efficiency. Considering that Missouri’s 126.5 offensive efficiency is the best in the country, it goes without saying that Duke is allowing its opponents to score way too easily in hostile environments. Evan Jacoby is an RTC columnist and contributor. You can find him @evanjacoby on Twitter. See bottom of the post for the Official RTC Star System. The Blue Devils have shockingly stayed out of the spotlight for the past few weeks, quietly handling their business in the non-conference. Perhaps the shellacking that Mike Krzyzewski’s team took in Ohio State in November was the wake-up call that this team needed, as Duke has won five straight in impressive fashion since that game. Coach K’s team is ranked 4th in Ken Pomeroy’s adjusted offensive rankings, boasting the nation’s third-best true shooting percentage (60.6%) and eighth-best points per possession statistic (1.16 PPP), amongst many other impressive offensive numbers. As Austin Rivers continues to improve his decision-making and efficiency offensively, Duke gets harder to defend. The freshman is now up to a team-leading 15.4 points per game while shooting 46% from the field and 41% from three. If Rivers can penetrate the Owls’ defense to create good looks for the other Duke guards and himself, Duke will be in good shape. Temple is an elite perimeter defensive team, where the Owls hold opponents to shoot 25.6% from three-point range, the fourth-best percentage in the country. Against a Duke team that loves to shoot the three, guarding the perimeter will again be priority number one in this game. In addition, Temple is strong with the ball and their 1.28 assist-to-turnover ratio is a top-30 national number, far better than Duke’s 1.02 ratio. By limiting their opponent’s long-range makes and winning the turnover battle, Temple will seek to gain an advantage at home. Their trio of guards Ramone Moore, Juan Fernandez, and Khalif Wyatt, all at 13.3 PPG or better, will look to neutralize Duke’s own trio in the scoring department. However, their best big man Michael Eric remains out with a knee injury, which could spell trouble against Duke’s 6’10” Plumlee brothers. Duke is a seven-point favorite in this game and will be well-prepared in their final non-conference game. But the Blue Devils haven’t played a road game since their blowout loss at OSU, and Temple has the guards to match Duke. With Eric missing down low, Temple is without a key defensive cog, but they’ve been playing without him for over a month. Expect a hard fought game in Philly. Rivalry Week – the Out of Conference Edition: Throughout the East, in the years before the rise of the conferences, the season was the warm-up for the season ending finales – games with the local rivals. The conferences changed that dynamic, as teams from the same media markets found themselves locked in races for conference titles that increasingly translated into NCAA postseason bids. And local rivals find their matches relocated to the earliest parts of the season. 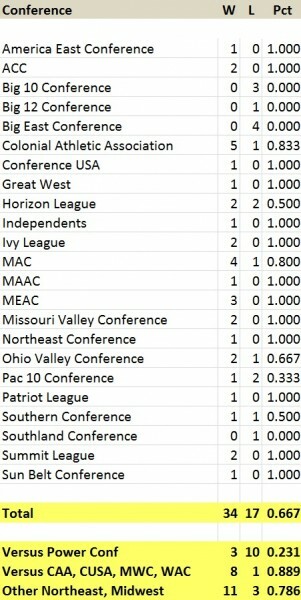 As the fall semester (or quarter) winds into final examinations, the weeks leading in have become the non-conference equivalent of “Rivals Week,” and had ESPN looked at the A-10 schedule, they would have found over one-third of conference members squaring off with their most-often faced local opponents. Brawl City: Xavier and Cincinnati have played 79 times, meeting annually since 1947, in what has become known as the “Cross Town Shootout”. Though Xavier won three of the last four meetings, last season’s 66-46 Bearcat rout at Fifth Third must have gone to Cincinnati guard Sean Kilpatrick’s head. In what will no doubt become a teaching point for future Mick Cronin teams, Kilpatrick, in the run-up to the game, opined on local radio that Xavier’s All-American candidate, senior guard Tu Holloway, was probably not good enough to start on the Cincinnati team. Bad move, Sean. The 2011 A-10 Player of the Year responded with a stellar 17-point performance that include going 5-for-10 (1-of-5 three-pointers, 4-of-5 two-pointers) from the field and a perfect 6-for-6 from the line to go with a game-high six dimes. 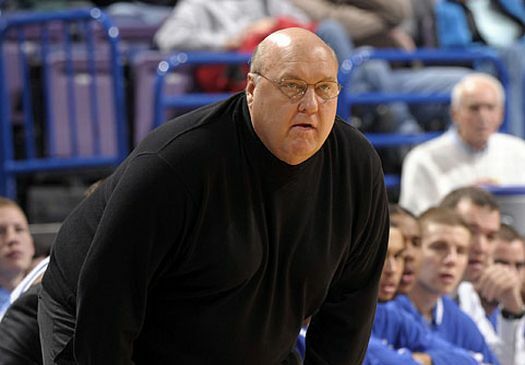 In the post game press conference the clearly agitated Holloway told the assembled scribes that “you do your talking after the game, not before…”. If only Holloway had followed his own advice. With less than 30 seconds to play, during what most likely would have been Cincinnati’s last possession of the game, the obviously incensed Holloway, still in the game for reasons unknown, passed by the Cincinnati bench (the 1:30 mark in the video below), and taunted the Bearcat bench with, “this is MY CITY”.